At Firstlight Broadcasting Network we recognise the importance of privacy protection. We have created this Privacy Statement to demonstrate our commitment to you, your privacy and to secure and trustworthy Internet commerce. other individuals interested in receiving information from Firstlight Broadcasting Network. This includes details such as their names, addresses, telephone numbers and email addresses. We also record information concerning transactions that individuals make or wish to make with Firstlight Broadcasting Network and as well as information concerning customer preferences and satisfaction with Firstlight Broadcasting Network’s products and services. Generally, Firstlight Broadcasting Network will only collect personal information when necessary to provide a specific service or function. This includes Firstlight Broadcasting Network product and event information and software upgrade information. If Firstlight Broadcasting Network collects personal information about an individual from someone else, Firstlight Broadcasting Network will take reasonable steps to ensure that the individual is or has been made aware of the matters listed above. Generally Firstlight Broadcasting Network will only use and disclose personal information for the primary purpose for which it was collected. For example, personal information may be used to provide a specific service or function to individuals, to process requests and transactions, and to communicate marketing offers and information to individuals. Firstlight Broadcasting Network will take reasonable steps to ensure that the personal information we collect, use or disclose is accurate, complete and up-to-date. If you believe that the information held is inaccurate please do not hesitate to contact the Privacy Officer below. Firstlight Broadcasting Network will take reasonable steps to protect the personal information we hold from misuse and loss and from unauthorised access, modification or disclosure. Firstlight Broadcasting Network stores personal information in various secure electronic storage facilities and paper-based files. Firstlight Broadcasting Network will also take reasonable steps to destroy or permanently de-identify personal information if it is no longer needed for any purpose for which the information may be used or disclosed. Firstlight Broadcasting Network policy on our management of personal information is set out in this document, as may be amended by Firstlight Broadcasting Network from time to time. 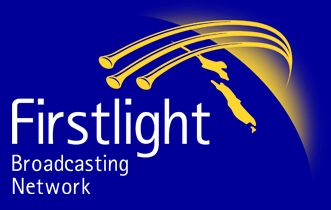 To ensure you have a copy of the most current version of Firstlight Broadcasting Network’s privacy statement, please refer to Firstlight Broadcasting Network’s website: http://www.firstlight.org.nz/. an enforcement body performing a lawful security function asks Firstlight Broadcasting Network not to provide access to the information on the basis that providing access would be likely to cause damage to the security of the country. However, where providing access would reveal evaluative information generated within Firstlight Broadcasting Network in connection with a commercially sensitive decision making process, Firstlight Broadcasting Network may give the individual an explanation for the commercially sensitive decision rather than direct access to the information. If Firstlight Broadcasting Network is not required to provide the individual with access to the information because of one or more of the above paragraphs Firstlight Broadcasting Network will, if reasonable, consider whether the use of mutually agreed intermediaries would allow sufficient access to meet the needs of both parties. If Firstlight Broadcasting Network holds personal information about an individual and the individual is able to establish that the information is not accurate, complete and up-to-date, Firstlight Broadcasting Network will take reasonable steps to correct the information so that it is accurate, complete and up-to-date. If the individual and Firstlight Broadcasting Network disagree about whether the information is accurate, complete and up-to-date, and the individual asks Firstlight Broadcasting Network to associate with the information a statement claiming that the information is not accurate, complete or up-to-date, Firstlight Broadcasting Network will reasonable steps to do so. Firstlight Broadcasting Network is obliged to provide reasons for denial or refusal of access to correct personal information. If you would like to access any personal information held by Firstlight Broadcasting Network about you, please do not hesitate to contact the Privacy Officer below. Firstlight Broadcasting Network does not use identifiers such as Tax File Numbers to identify individuals. Where lawful and practicable, Firstlight Broadcasting Network will provide individuals with the option of not identifying themselves when providing personal information. Firstlight Broadcasting Network has taken reasonable steps to ensure that the information that it has transferred will not be held, used or disclosed by the recipient of the information inconsistently with this Privacy Statement. Should you decide that you no longer wish to receive promotional and marketing material from Firstlight Broadcasting Network, please advise as directed on the material you have been sent or via email, fax or letter being sure to include your name, address and contact details. Individuals are to direct all complaints to Firstlight Broadcasting Network’s privacy officer. Firstlight Broadcasting Network requires this request to be advised in writing via email, letter or fax. Firstlight Broadcasting Network will notify all departments within Firstlight Broadcasting Network to remove the individual from distribution lists. Firstlight Broadcasting Network will advise the individual in writing that this request has been actioned. If via letter / photocopies, Firstlight Broadcasting Network’s privacy officer will prepare and send these to the individual. On our Web sites we only collect information relating to you with your permission. You may choose to reveal information to us if, for example, you register or complete a survey. Companies in the Firstlight Broadcasting Network group may use the information internationally in connection with processing your inquiries and orders or to help improve our products and services. We would only share such information with third parties outside the Firstlight Broadcasting Network group with your express permission or as required by law. It is used solely for the purposes described below. Firstlight Broadcasting Network supports secure online shopping using secure server technology, because we want your shopping experience to be simple and safe. There are state-of-the art security arrangements and facilities on Firstlight Broadcasting Network sites to prevent security abuse. The secure server technology used on Firstlight Broadcasting Network Store encrypts your personal financial information before it is transmitted over the Internet. This technology works best when the store site is viewed using a browser that supports secure server technology. As a global company, Firstlight Broadcasting Network operates a number of Web sites around the world. Any information that you submit to one of our sites in any one country or language may be sent electronically to a server for one of these sites in another country. As such, the information may be used, stored, or processed outside the country where it was recorded. We safeguard your privacy interests around the world by ensuring that the Firstlight Broadcasting Network site adheres to our policies described in this statement.We bind our employees to observe your privacy and confidentiality rights. If you give us your e-mail address, we may communicate with you via e-mail. However, we will not share your e-mail address with others outside the Firstlight Broadcasting Network group of companies without your consent. You can choose not to receive e-mails at any time - for more details, read the Choice/Opt-out section below. Depending how your e-mail application is set up, information about you may be transmitted automatically when you send e-mail to Firstlight Broadcasting Network. Our site contains links to other sites. 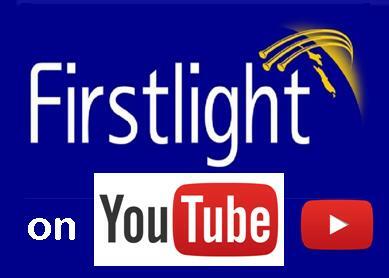 Firstlight Broadcasting Network is not responsible for the privacy practices or the content of other Web sites. For more information, refer to the privacy policies of the respective site. Firstlight Broadcasting Network gives you the choice to opt out at any time. You can opt-out of receiving communications from us whenever you like: now or at the point on our site where we request information from you. If you no longer wish to receive our free newsletter Firstlight Broadcasting Network Newsletter, you can cancel your subscription at any time. Just send an e-mail message to info@firstlight.org.nz with “Unsubscribe” in the subject field. If you no longer wish to receive other information or promotional e-mails from Firstlight Broadcasting Network, follow the opt-out instructions on the last e-mail you received. Want to learn more? Contact Firstlight Broadcasting Network for additional information. Professional Development Limited reserve the right to access information on the website and in any database associated with the website for the purposes of testing and site support. At no time will Professional Development Limited submit details collected to any third party or use these details for contact and/or marketing without the permission of the website owner or client.